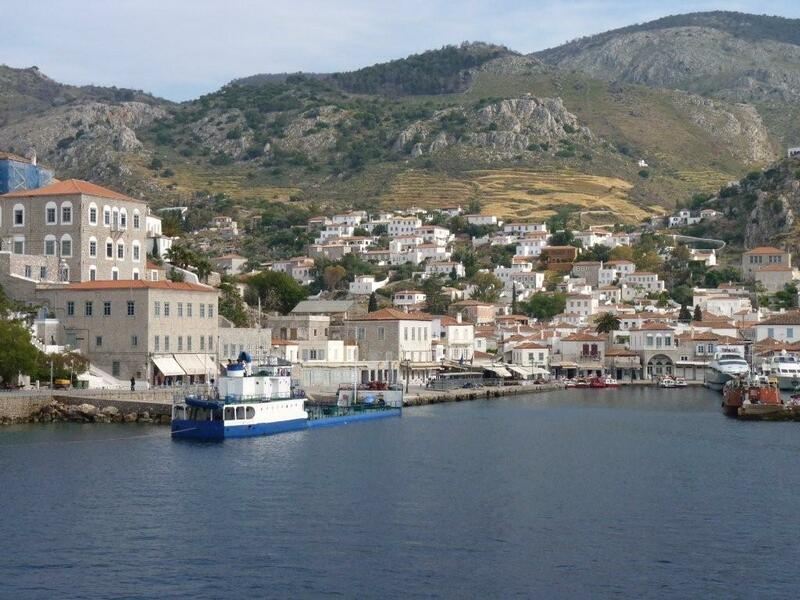 Hydra Island is called Hydra from the ancient word Hydrea meaning “springs”, as this tiny island has always had fresh water. 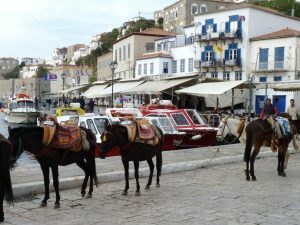 Hydra is an excellent island to visit on your crewed yacht charter of the Greek Islands for a great holiday. Just off of the Peloponnese Peninsula on the mainland of Greece in the Aegean Sea, Hydra is one of the Saronic Islands and is easily reachable on a yacht charter out of Athens. 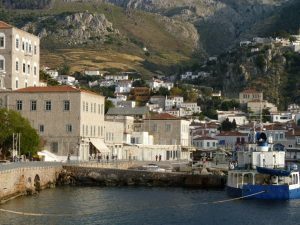 Northrop and Johnson Yacht Charters just revisited this charming island last month to become reacquainted and gather more information for suggested itineraries for a cruising yacht charter including Hydra Island as a great yacht charter stop. The main town of Hydra Island called Hydra Port is clustered around the crescent shaped natural harbor, which is the only port for this island. Serviced by ferries and private yachts, this island has no airport and no cars, with the main form of transportation being donkeys, horses or your own two legs. Without the mad house of traffic from cars and trucks, Hydra is a peaceful little island with meandering alleyways for donkeys, horses and people that spider out from the main harbor and into the hills beyond. Your crewed charter yacht will come right into the main port and either anchor in the harbor or come in stern to along the outside of the town quay. The inside of the quay is usually reserved for the small local colorfully painted fishing boats. Once ashore on the quay, the island awaits to be explored by foot, donkey or horse. 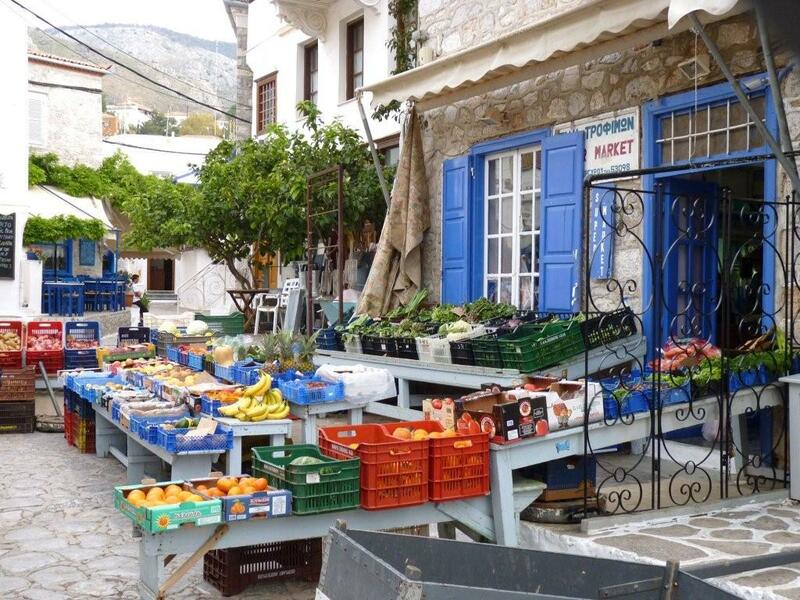 Wander along the main quay past shops with wares spilling out of the shop fronts and in the windows on display. Little cafes are set up along the quay with tables and chairs to enjoy a coffee al fresco and to people watch. And off of the main quay are the alleyways that meander into the depths of the island with more shops, tavernas, and courtyards tucked away behind the main harbor. Turning every corner wandering these alleyways is a photo opportunity. And always there are the cats of Hydra, sunning, wandering, or just idly watching you from their seat at the local Taverna. The local people of Hydra were always seafarers and in fact established a school for mariners on the island in 1645, which is still in operation today. Becoming a wealthy trading city in the 18th and 19th centuries, the mansions built by prosperous Sea Captains still ring the harbor today. With the establishment of the Greek Republic in the 19th century and the advent of steam propelled engines for cargo ships, much of the maritime economy moved from Hydra to Athens, and other than a brief economic growth in the sponge industry, Hydra slowly slumbered along moving into the tourist destination that it is today. The Tsmadou Mansion on the left hand side of the harbor as one enters the port is the home now of the Maritime Academy and the Captain of your charter yacht may have one time been a student here as many Greek Yacht Charter Captains are still attending this school for maritime knowledge. The Tombazi Mansion is now part of the School of Fine Arts, and there is a Hydra Museum in a mansion near the Maritime Academy with displays of Hydra maritime history and other history and artifacts. And while you are on that side of the harbor walk out to the harbor entrance to the park featuring embattlements and the cannons that have been used to guard the Hydra harbor entrance over the centuries. There are numerous churches and six Greek Orthodox monasteries on the island. 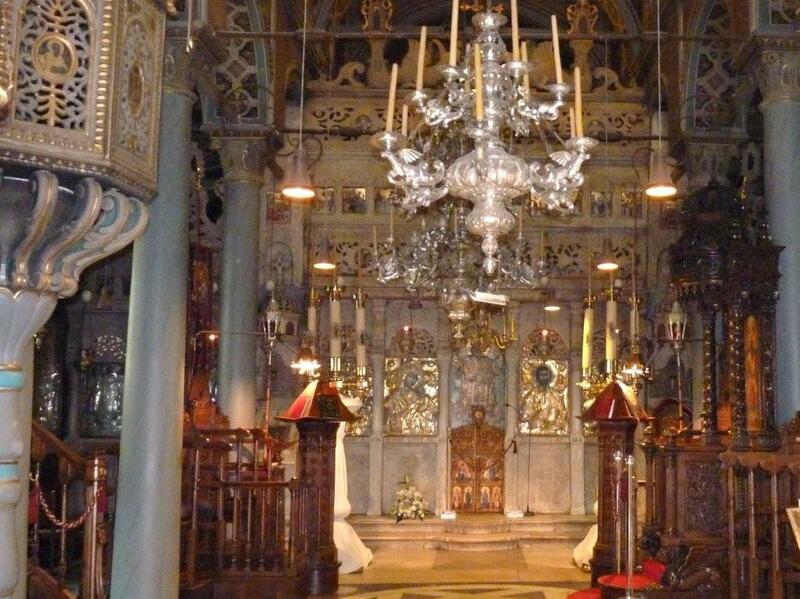 Along the main quay are the gates into the church and monastery of the Dormition of the Virgin. Within the gates are a lovely courtyard, beautiful church and a Byzantine and Ecclesiastic museum worth a visit Several of the other monasteries are in the outlying hills overlooking the harbor and a hike to any one of them will provide great exercise along with the rewarding view of Hydra, other close islands, and the mainland of the Peloponnese Peninsula. your yacht charter cruise through the lovely Greek Islands.